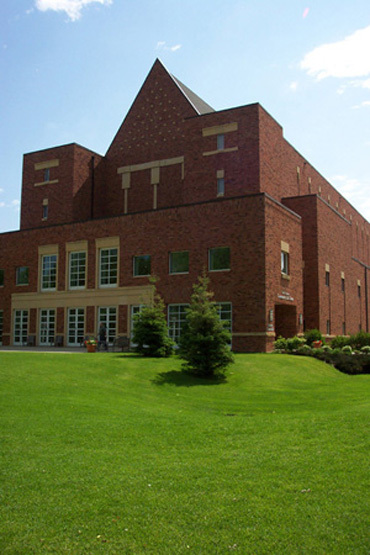 Since I arrived at Bethel in 2003, the phrases “anti-racism” and “racial reconciliation” have been prominent in campus discourse. 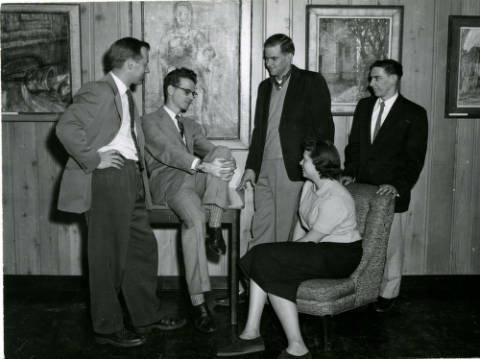 Bethel leaders had identified a “ministry of reconciliation” (in the context of “sensitivity to the differences among people… and among peoples”) as an integral component of Christian higher education as early as 1968’s James Report on college objectives, and efforts to make the Bethel student body and faculty more racially diverse had been underway since the 1970s. But some ugly incidents in the 2000s seemed to suggest that Bethel still had a long way to go. At the same time, I’ve long wondered if two other types of discrimination and inequality aren’t more prevalent, without receiving anything remotely like the attention given racism. First, sexism. While it seems like the female-male ratio on the faculty is slowly coming into balance (e.g., three of our department’s six members are women, including the last two hires) and the dean of our College of Arts and Sciences, three other vice presidents, and our campus pastor are women, almost all of my female colleagues can also tell stories of being treated poorly by students — of both sexes — who view them as less deserving of respect than the men on faculty. Many of these colleagues have received comments on course evaluations suggesting that they are failing as wives and mothers by maintaining professional careers. Sadly, this kind of discrimination is often dressed up in biblical language and evangelical theology. See the recent interview in Christianity Today with three Biola University professors whose research led them to conclude that women on the faculties of evangelical Christian universities like Biola and Bethel both perceive greater gender inequality and report higher job satisfaction than do their peers at secular universities. The authors explained the paradox partly by reference to a phenomenon they labeled “benevolent sexism.” Then read reflections on this interview by my colleague Pamela Erwin, former chair of our Biblical and Theological Studies department and now an associate dean at Bethel. While I’m glad to see more attention being given to the treatment of women and people of color on Christian college campuses, it also makes me realize how little I’ve heard us talk about a third potential inequality: that based on socioeconomic class. Too often these days, we in higher education simply aren’t doing enough to support the efforts of students who are the first in their families to attend college. These students, many of whom are working class, get brushed aside by concerns about budgets and enrollments, the sheer busyness of a college, their own passivity, and our assumptions that all students share similar experiences and preparation. Noting that more than a quarter of these students last no more than one year, and almost 90% fail to graduate within six, Greenwald observed several unique challenges facing lower-income students who are the first in their families to continue their education: lack of social capital; an overly instrumental and transactional view of education; long work hours; complicated home lives; and a sense of shame about their roots and/or a feeling that they are betraying their background. makes you vulnerable and rootless for a while, something that is not a common blue-collar trait. In working-class communities, vulnerabilities may be seen as a sign of weakness that is to be avoided or at least hidden. Many first-generation students don’t know how to process such things as criticism of work they have done, and they respond by joking about it, ignoring it, or taking it personally. I wouldn’t give up the disruptive effects of the liberal arts, but I have no doubt that Bethel — a private university that charges rather high tuition and recently built a $30 million university commons featuring a lavish cafeteria, expensive grill, and coffee shop with on-staff baker — could be an unsettling place for lower-income students for other reasons. We’re located on a wooded, lakeside campus far from the Twin Cities (and inaccessible by public transportation), which accords with the expectations of our suburban students who grew up spending weekends at wooded, lakeside cabins up north and who can simply drive their own car to Uptown Minneapolis or Grand Avenue in St. Paul if the “Bethel bubble” is feeling too constricting. Subtly and not-so-subtly, I fear that we’re communicating that you need to be of (or act like you come from) a certain social background and level of prosperity to fit in at Bethel. And I can see the ways in which lower-income students not only have to work long hours on top of what I ask them to devote to study, but are kept from participating in the kinds of enriching activities that we increasingly trumpet, particularly in the humanities. While there is no additional tuition for my upcoming travel course on World War I (one substantial benefit of Bethel’s “J-term”), I’ve had several students regretfully inform me that they simply can’t afford the $3900 extra that each participant needs to spend in order to cover transportation to/within/from Europe, plus lodging, food, tours, museums, and other expenses. (In fact, it can be cheaper to spend a whole semester overseas, since some of our partner programs include all costs except airfare in the tuition.) And when, as department chair and academic advisor, I encourage more of our majors to pursue internships, I also have to recognize that few are paid. Those 150-200 hours represent hundreds, even thousands of dollars of potential income that some students can’t do without. Still, it’s hard for me to know just how pervasive these problems are at a school like Bethel, or whether we do any better or worse than other private universities on this count. Many don’t know how to debate without arguing, where the boundaries are in the classroom, and what behavior is appropriate. They may have poor time-management skills. Therefore they are perceived to be disrespectful, unfocused, and lazy when they really aren’t. These, however, seem like problems that could face any private university; I don’t have any idea if they’re felt more, less, or equally keenly on Christian campuses than secular ones. I’d like to think that people who find their identity in Christ — in whom, the apostle Paul taught, there is no difference based on race/ethnicity, class, and gender — would do better than others on this count, but the surprising strength of racism and sexism (benevolent or otherwise) suggests that I should be less optimistic. In the meantime, I’d love to hear from readers (students, alumni, and employees of Christian colleges in particular): do you see racism, sexism, or classism prevailing at schools like Bethel? Are they more or less common in Christian higher education than other kinds of colleges and universities? I know I would have never considered myself fitting in at a place like Bethel as a young person – neither financially or socially, as a first generation college person of some painful reserve and quietude – at best. The likes of a fun-fun yuppie oriented Nik Dag might have confirmed that this was not a home for me [one could ponder the joyous top-of-the-screen image accompanying the above “about CAS”]. How does such an environment appear to the “working two jobs” person (perhaps coming from a two-year institution) who has been “just getting by” during the recent recession and is now considering going into debt while seeking out an engaging Christian place to call home for a challenging 4-year degree? It seems possible those of low-income and especially complicated home lives may be less into “lounging” while working their jobs, and even less attracted to hanging out . . . [again from “about CAS” we read: “our campus is built for lounging—from the hallway lounges in the academic building to the spacious new student center, it’s easy to catch up with classmates grabbing a bite to eat, studying, or just hanging out.”] A fitness center appointment . . . or cup of gourmet coffee can perhaps follow the lounging . . . or catching that van to Rosedale. Pietism and (even worse) the book of Amos may have something for us here. Vulnerability may be tougher than lounging or hanging out.